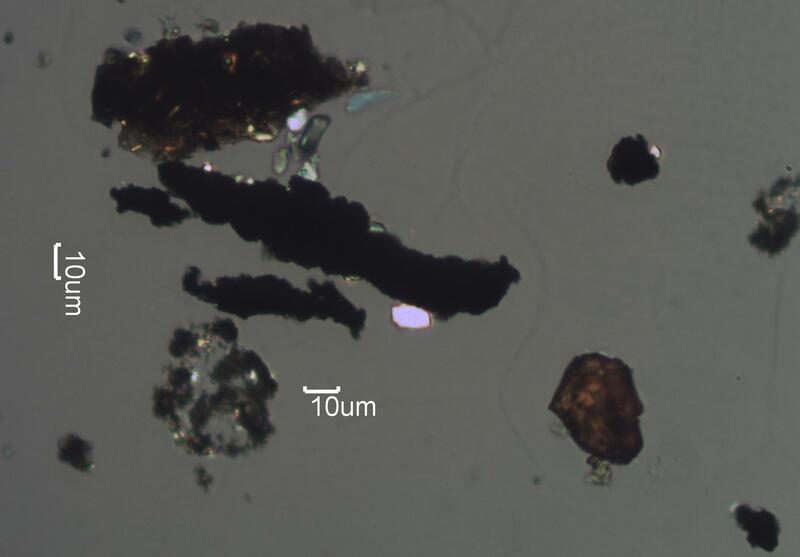 The two paint spheres in this image are the circular deposits of aluminum flakes, the larger at lower left and the smaller at center extreme right. The vehicle in this case was soluble in the acetone used to clear the tape in this tapelift from a home. The paint sphere is reduced to a circular deposit of pigment, aluminum flakes in this case. Most of the black particles in this image are tire wear. The exceptions are the large dark brown particle at upper left and the bright independent crystals in the image.